3,500 sqft historic renovation and addition, 4- bedroom residence, guest house and pool. This existing 1750’s post and beam two-family residence was converted back to a single family residence. 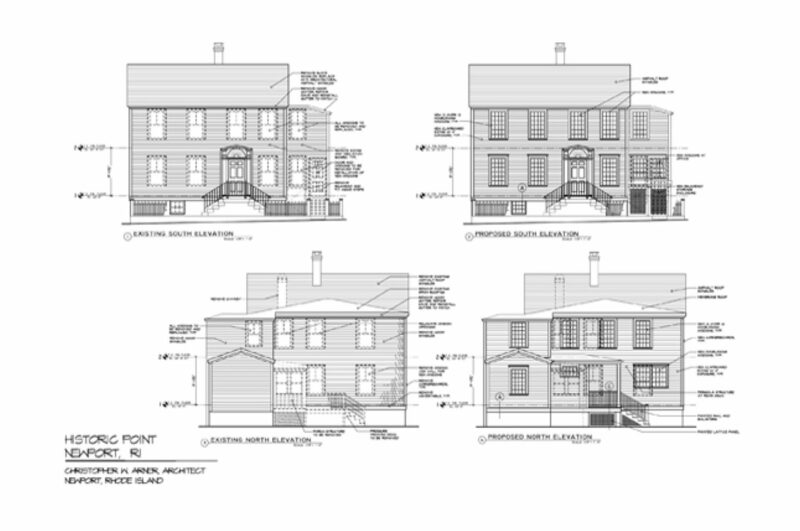 This project, located in the Newport Historic district required HDC and Zoning approvals. The house went through extensive renovations due to its age and dilapidated state. The renovation required updating the plan layout for modern day living, restructuring all walls and floors and installing new historically accurate windows.